Mary Keehn founded Cypress Grove as a means for producing healthy goats milk for her four children. With an abundance of milk on hand, Mary decided to try her hand at cheese making. Realizing she had found her calling, she traveled to France to learn from master cheese makers. 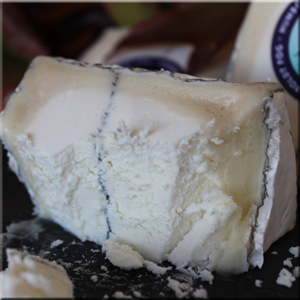 When she returned to Humboldt County, Mary started work on her vision of creating a new kind of cheese: one accented with a thick line of ash reminiscent of the fog often hovering the Humboldt coastline, hence the name of her flagship cheese- Humboldt Fog. Cypress Grove is now home to a 18-acre creamery, as well as a model dairy called Dow's Prairie that is 100% Human Certified. As a model dairy, Dow's Prairie supplies breeding stock to other dairies. They also work with an expert nutritionist to help source the best feed and diet for their animals, which could be one of the reasons their goats produce more milk per head than any other commercial dairy in the U.S.